An exceptional portrait of consistency, Ashton Classic delivers an attractive, mild creaminess engaged to faint notes of pepper. Dominican tobaccos aged three to four years showcase a rich, golden Connecticut shade wrapper in an impressive manner your palate will savor. Awesome! 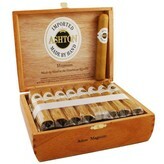 The Ashton Classic line is one of the first lines that rocketed them to success when they began to produce cigars. These cigars are a fantastic and approachable smoke for anyone, whether they be a seasoned cigar aficionado or a neophyte, and they are a great and affordable smoke. The Ashton Classic line comes from Arturo Fuente, where they are produced. Arturo Fuente is one of the biggest names in cigars, and they have been turning out quality products since they opened their doors and first started selling cigars. Arturo Fuente takes some of the quality tobacco that they grow at their facility in the Dominican Republic, and then they age it for an additional three to five years in order to ensure that it is just right in flavor for the Ashton Classic cigars. They then wrap the cigar in a Connecticut Shade wrapper, finishing the cigar and making it ready for sale. The Ashton Classic Magnum is a mellow to medium-bodied smoke, a cigar that can be enjoyed by someone who just started smoking cigars. It produces clouds of milky smoke when lit, and it has flavors of wood and cashew that vie both for your attention and for primacy in your mouth. 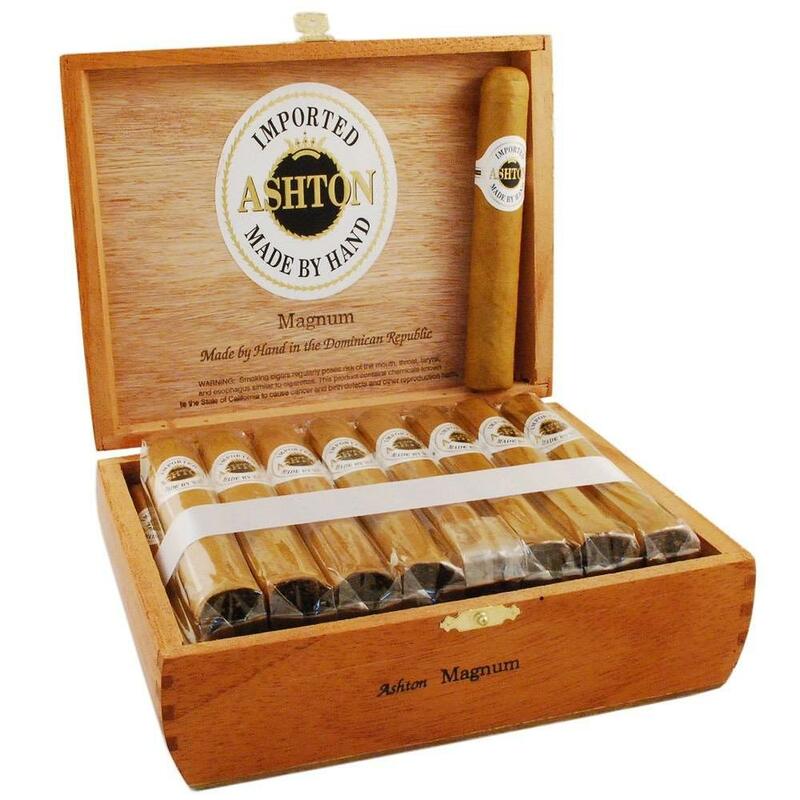 The Ashton Classic Magnum is a quality Dominican cigar, 5 inches by 50 ring gauge, and it is affordable enough to be a regular smoke, too.